Two of the Philippines’ commitments have been recognized with international awards. The Commission on Audit’s Citizen’s Participatory Audit received the Bright Spots Award from the U.K. Government during the OGP Summit in London in October 2013 and the Department of Budget and Management (DBM)’s Bottom-Up-Budgeting process more recently received the Gold Open Government Award from OGP. These reforms have served as models for other countries’ efforts in implementing the OGP. The DBM also recently celebrated the results of the Open Budget Survey, which gave the Philippines the highest score in Southeast Asia for budget transparency. The Philippines ranked No. 2 in Asia and No. 21 in the world for transparent and open budget management. The Philippines has also consistently been given high ratings by international organizations for its improved economy. These recent recognitions reflect the understanding that good governance and good economics go hand in hand, an understanding embodied in the Facilitating Public Investment (FPI) project, through which the U.S. Agency for International Development supports the Philippine Government’s efforts to improve expenditure management by means of transparency and accountability measures. 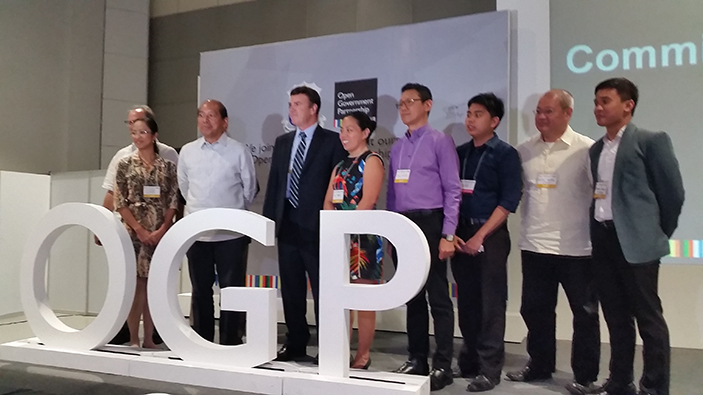 In 2013, FPI sent a Philippine government contingent to the OGP Summit in Bali, Indonesia. It was after this event that the team developed the Good Governance Dialogues in the Philippines. Adopting the OGP platform, the DBM—in partnership with FPI, the Union of Local Government Authorities, and a civil society organization called INCITEGov—launched the “Innovative Government Partnerships” platform in five major cities, covering 17 regions nationwide. It was through these regional dialogues that the Philippines 3rd OGP Action Plan was crafted in August. The OGP Action Plan commits the government to implement initiatives that improve public services, increase public integrity, and more effectively manage public resources, in line with President Aquino’s mission to fight corruption and patronage. “FPI’s support to the government’s advocacy of good governance and anti-corruption played a significant part in engaging the citizens to participate in changing the culture of traditional politics and improving the delivery of services for inclusive growth,” said FPI Deputy Chief of Party Alexander Kitain. The dialogues provided a mechanism for the government to communicate directly with citizens, gaining the support of at least 1,500 representatives from national government agencies, local government units, civil society organizations, and youth leaders nationwide. “During the dialogues, participants were able to forge partnerships and signed their commitment of support in programs that will be implemented in their respective areas,” said Kitain. FPI, which runs through 2018, promotes results-oriented budgeting and fiscal transparency, eliminating ineffective spending in favor of high-impact programs and public investment in infrastructure, education, technology, and other areas. FPI works in partnership with the Department of Finance, Bureau of Internal Revenue, Department of Budget Management, and Bureau of Customs.